Would you like to work for the Lantern? Saturday, 2nd of May 2015 will forever one of the best days of some students as they graduated from the University of Cincinnati. Friends, families and well wishers came out in numbers to watch their loved ones receive hard earned degrees. This class of 2015 happens to be a very special one as it set a record for graduating the highest number of spring students.The class is highlighted by 6,335 students eligible to graduate. 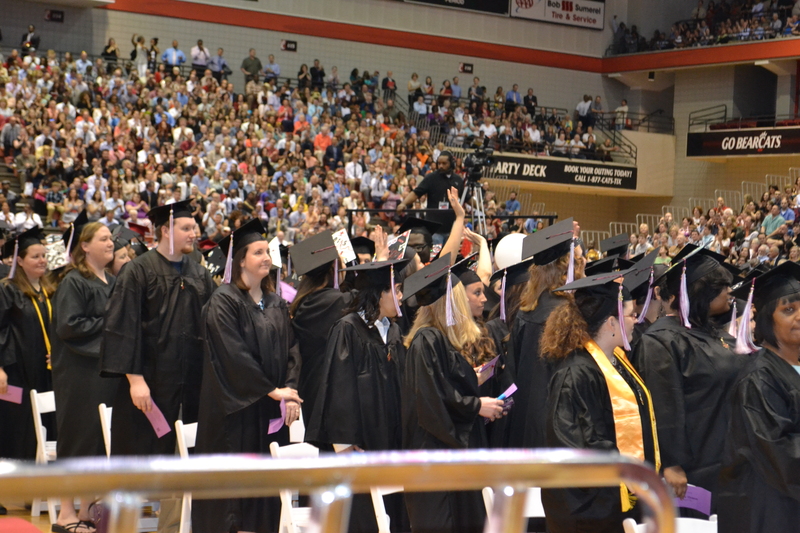 A total of 659 associate degrees, 3,663 bachelor’s degrees, 1,564 master’s degrees and 296 doctoral degrees for a total of 6,445 was earned at the Fifth Third Arena. 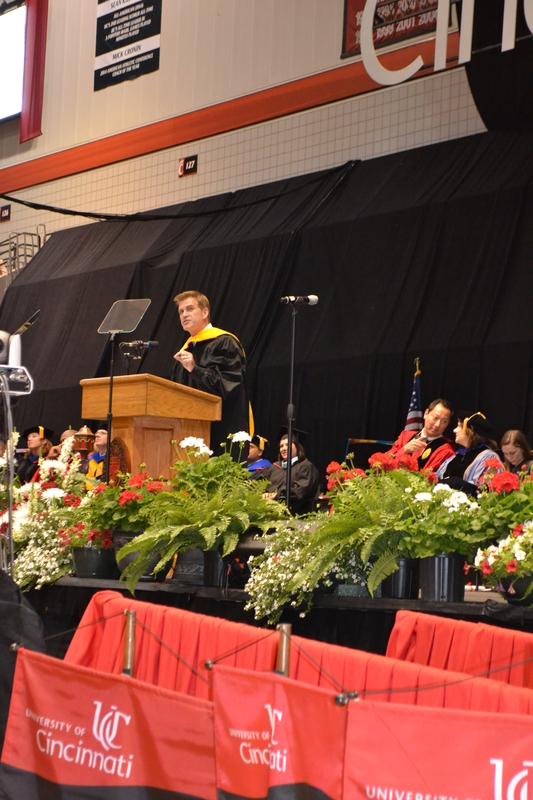 UC alumnus Kirk Perry, president of brand solutions at Google and a former Procter & Gamble executive, gave the commencement address at UC’s Undergraduate Commencement Ceremonies on May 2 at Fifth Third Arena. Google’s Perry, the former president of global family care at P&G, also was given an honorary doctorate, the university’s highest honor. He challenged students to live uncomfortably, for those moments in life in which we’re uncomfortable often result in ones that we remember with the most pride. He also encouraged the students to run with the pack. UC bachelor’s degree graduates’ average starting salary was $44,057. 94 percent accepted a position related to their field of study. 63 percent participated in a co-op or internship before graduating. 69 percent who participated in a co-op or internship have full-time jobs after graduating. 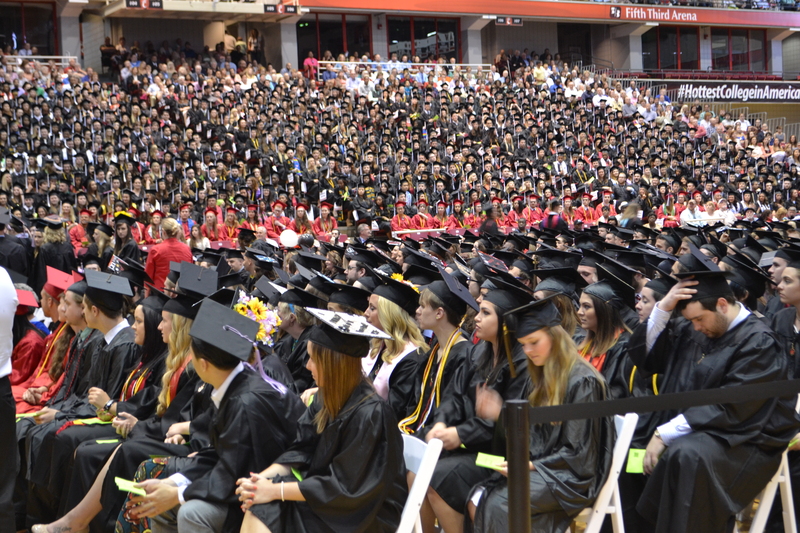 79 Fortune 500 companies hired UC graduates. Take a statistical look at UC’s class of May 2015 online. UC Clermont Breaks a World Record! The UC Clermont Lantern page may be gone for a while, stay tuned for the latest updates. To find us: 28 Peter Jones Bldg.